WASHINGTON – The U.S. Department of Transportation’s Federal Highway Administration (FHWA) today awarded an $8 million Advanced Transportation and Congestion Management Technologies Deployment (ATCMTD) grant to the Contra Costa Transportation Authority for the Bay Area Mobility-On-Demand (MOD) Project. “These highly innovative projects offer high-tech solutions to relieve congestion and improve safety and efficiency on the nation’s highways,” said U.S. Transportation Secretary Elaine L. Chao. The Contra Costa Transportation Authority will enhance Bay Area MOD applications to reduce traffic congestion on the I-680 Corridor and surrounding communities. The Bay Area MOD will serve as a one-stop shop providing information on multiple transportation options to users based on point of origin and destination, including trip planning and travel times and cost. FHWA’s ATCMTD program funds early deployments of cutting-edge technologies that can serve as national models to improve travel for commuters and businesses. This year, the program funded 10 projects valued at $53 million that range from advanced real-time traveler information to Integrated Corridor Management and vehicle communications technologies, paving the way for connected and autonomous vehicles and congestion-relieving traffic management systems. The ATCMTD program was established under the Fixing America’s Surface Transportation (FAST) Act. 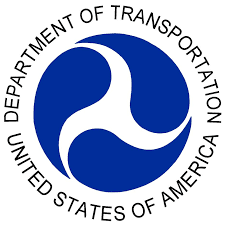 State departments of transportation, local governments, transit agencies, metropolitan planning organizations, and other eligible entities were invited to apply under the program.